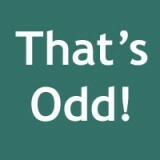 A Remarkable Invention Linking People an Ocean Apart! Imagine if you could stand next to the Brooklyn Bridge in New York City and wave greetings — in real time — to folks in London, England. An attraction that drew crowds in New York City and London. 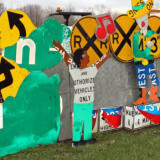 An amazing, student-initiated art project along 1200 feet of U.S. Route 322 at the gateway to Meadville, Pennsylvania shows how college, community, and even a state department of transportation, can creatively work together.